What are you doing for transportation when you return to the states? One person is especially qualified to help answer that question for you. Chances are you may have met or have friends who have already done business with Mr. Kenneth Hall. 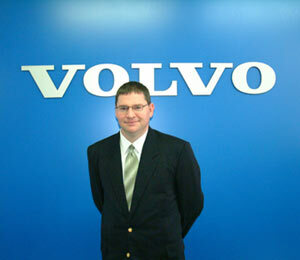 He is the Senior Sales Executive at Volvo Cars Military Sales here in Okinawa. With this winning formula, Ken quickly rose in the ranks at his first sales job with the Exchange new car sales. He was consistently one of the Top Sales Agents for each of his seven years there. Eventually Volvo Cars Head Office in Sweden got wind of his abilities and excellent reputation for customer satisfaction and offered him a position with them. It was a “dream come true” for Ken who jumped at the opportunity to work for a Premium Automotive company with Volvo’s worldwide reputation for safety, quality and reliability. As he is the only sales agent in Japan who has experienced the Car business on “both sides of the fence”, Ken is uniquely qualified to assist you in your new automobile purchase as well as being able to compare both of the new car sales programs. Volvo Cars Military Sales is located on Hwy 58 opposite Camp Lester Naval Hospital. Information can be obtained by visiting the showroom, or by calling 098-936-8640 in Okinawa and 0468 253 265 in Yokosuka alternatively inquire online at: www.MilitarySalesJapan.com. The Volvo Military program is only available if you are stationed or TDY in Okinawa or mainland Japan and if you order before you PCS. They offer Test Drives, Home and Office appointments and stay tune--they will also have on-island deliveries soon!